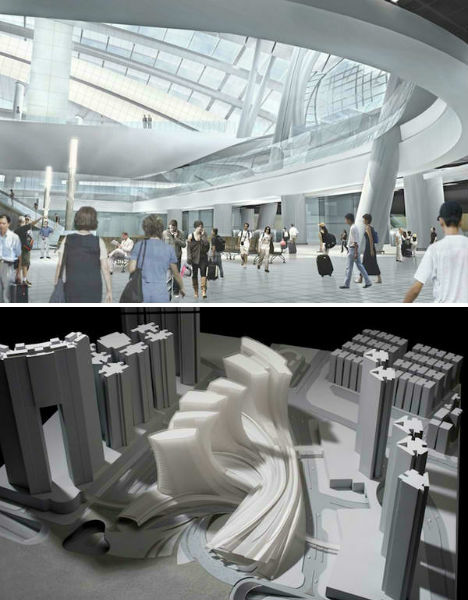 The largest underground high-speed rail station in the world will connect Hong Kong to Beijing, and measure an incredible 4,628,481 square feet. 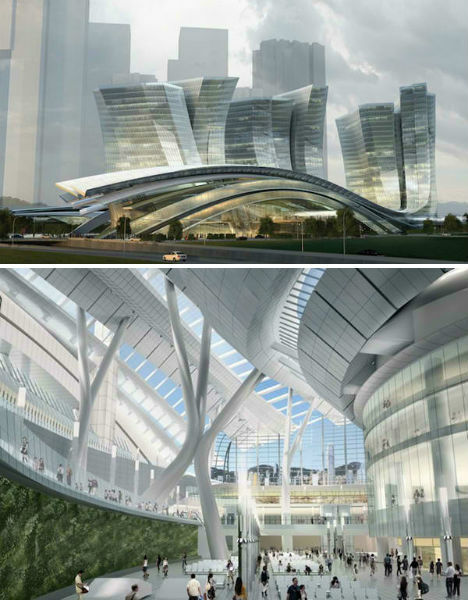 Designed by Andrew Bromberg of architecture firm Aedas, the Express Rail Link West Kowloon Terminus is scheduled for completion in 2015 and will have 15 tracks for high-speed trains that are capable of reaching speeds of 124 miles per hour. 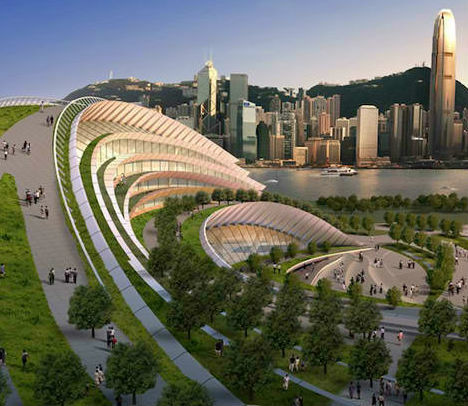 Express Rail Link West Kowloon Terminus is designed to make a smooth transition between the station and the city of Hong Kong, expression the character of the urban setting. 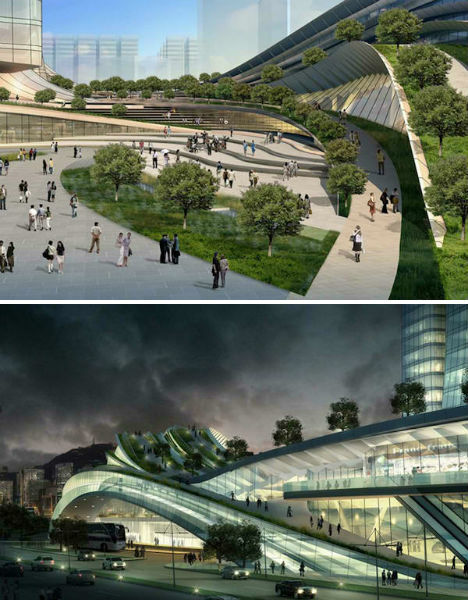 Aedas designed the station with an undulating shape that focuses views to the Kong Kong Central skyline and Victoria Peak. The West Kowloon Cultural District is ‘invited into’ the site with a flowing green park and civic plaza with its own outdoor performance amphitheater. The terminus will function more like an international airport than a rail station, meaning it will need to have both custom and immigration controls for departing and arriving passengers. It will connect Hong Kong to mainland China with both regional shuttle trains and long-haul high speed trains.